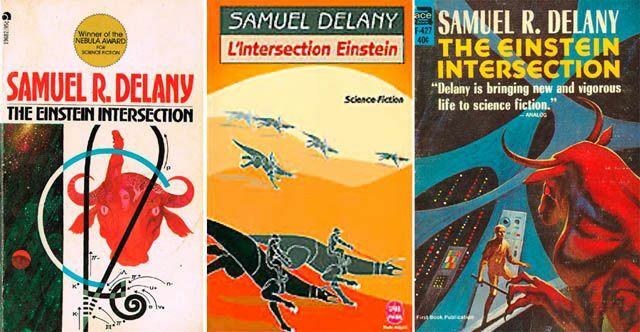 Samuel R. Delany weaves a brilliantly-jeweled web of words, capturing your imagination and causing various bubbles of mental presumption to burst deliciously in your brain, leading to little explosions of free-wheeling ecstasy (no drugs involved) and - very often - conversion to extreme libertarian views. 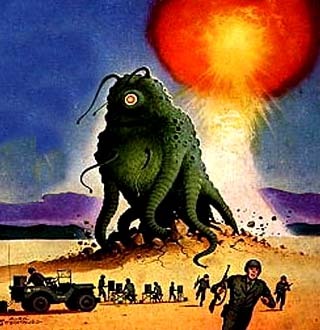 Through the array of dazzling stories to his magnum opus "Dhalgren", his body of work can truly be considered as a "helix of semi-precious stones" - to be enjoyed on a visceral, as well as intellectual level. 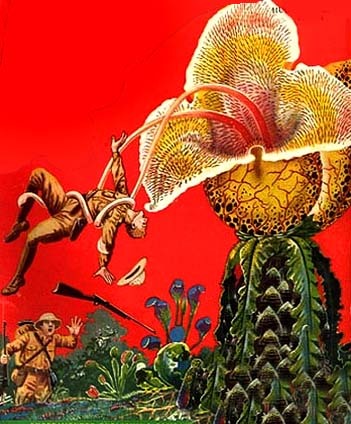 Quite colorful adventure from Delaney based on a cool idea (it was like enjoying a sweet "pulp story" candy-coating only to discover hard, unyielding filling inside - what's more, the bitter filling of disputed and - last I heard - discredited linguistics theory). The theory in question is Sapir-Whorf hypothesis (read a good article about it here ) postulating that the language we speak determines our whole psychological and mental layout, and certain thoughts just would not be able to occur to us in certain languages. The novel is centered on a fictional language that denies its speakers independent thought, forcing them to think purely logical thoughts. Such "linguistic weapon" is used in a space war to produce perfect "servants of empire", walking computer programs. Speaking of novel's style, I enjoyed the ground-breaking presentation, but found it a bit emotionally uninvolving, and ultimately (if not for idea) forgettable. 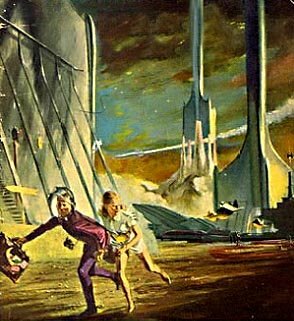 "Dog in a Fisherman's Net"
As with all truly great science fiction novels, The Einstein Intersection is less about science and more about fiction – in this case, fiction told by one of the greats not just of science fiction but modern literature as well. Surreal doesn't begin to describe the setting and characters of The Einstein Intersection. Ostensibly about aliens exploring and trying to understand human culture after mankind has either left the planet or died off, the book is much more about some of the more powerful human archetypes. From Lo Lobey himself, a goat herder based on the myth of Orpheus, to the subject of his quest, Billy The Kid (AKA death), the book is a literary stage, allowing Delany to explore the world of our myths, fables, legends and fantasies. 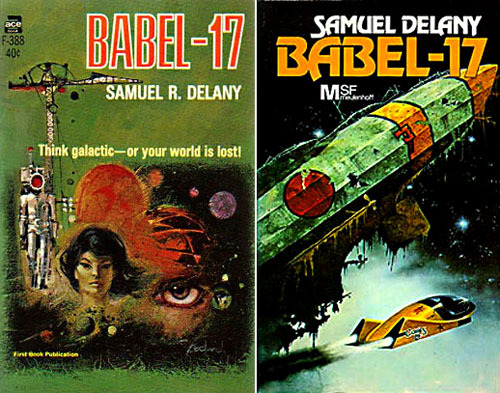 It's unfortunate that people often pick up the book only to be frustrated and confused by Delany's psychedelic style. But for those with imagination and patience, reading The Einstein Intersection can swing open a brand new universe of style, language, and story: it's a wonderful book by a magnificent writer, first, and a great science fiction author, second. 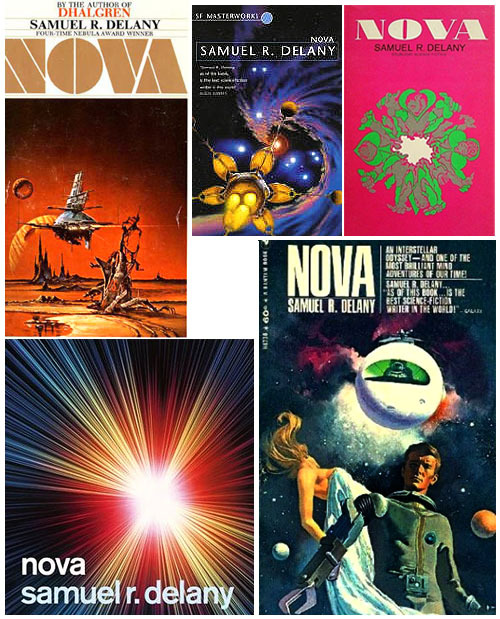 "Night and the Loves of Joe Dicostanzo"
When I was in college, it was to my great surprise that Samuel R. Delany’s “Nova” came up on the syllabus. “Nova”? Shouldn’t that be “Dhalgren”? But you know what they say: there’s no fool like a college student. Delany is a clever man, having written perhaps the most densely subtextual literature in the genre. 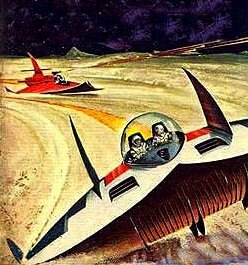 “Nova” holds up to a casual read, with Lorq von Ray, our physically scarred and emotionally complex protagonist fighting for the very balance of the universe - but there are layers that sneak up on the reader, a kind of devious introduction to some of the most innovative writing of the Sixties. 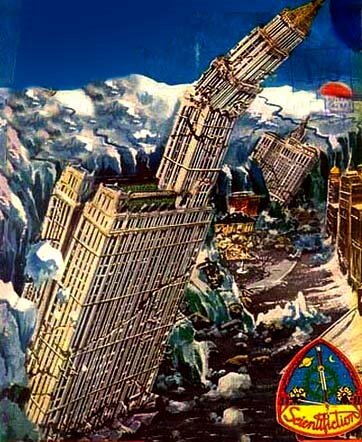 One of the themes most poignant is Delany’s experimentation with the long-term consequences of a technological society. 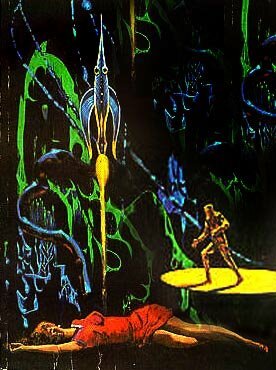 It has the trappings of familiar scifi, but as a criticism of contemporary life the question still holds. We each augment ourselves significantly: high heels, iPods, medications – some are harmless, some maybe less so. But how do these “cybogisms” affect us on an intellectual level? And even deeper, how do we each relate to the machines that now make up our daily routine? 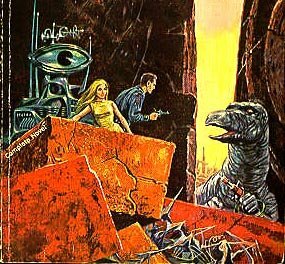 Much of the novel is about class differences (or mega-gulfs, rather) and part of it is the segregation of those who have refused to be “cyborged.” Called “Gypsies,” those that don’t want any mechanical upgrades are considered throw-backs, retards, and are systematically exterminated. Delaney is more than capable of writing a rousting space opera, but it seems with “Nova” he was as interested in the existential. On the surface it is a novel about an underdog fighting to balance a universe gone slanted, the kind of place where the hyper-rich never experience any bummers other than their own inexplicable boredom, and major decisions often involve using Tarot cards. Or you know, the kind of place where folks with robot-hands claw other people in the face. But the questions that percolate up are just as interesting; what are artists to a civilization, and to what degree are we each capable of making art? In what ways are we complimented by technology, and in which ways are we being destroyed by it? "Time Considered as a Helix of Semi-Precious Stones"
"We, in Some Strange Power's Employ, Move on a Rigorous Line"